The forgotten fashionista: The Forgotten Fahionista. The start of my journey! The Forgotten Fahionista. The start of my journey! This is my first blog, a completely new concept for me, so I hope you will be patient with me if you have stumbled upon my blog for the first time! 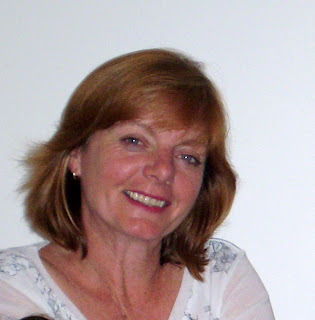 Let me introduce myself, I'm Linda, now 55 years old, and I've worked in the clothing trade for most of my working life. I studied in South Africa, I've lived in Zimbabwe for a few years, then returning to South Africa and now live in New Zealand . The clothing industry not really a glamorous job, even if it sounds as if it is. No fashion shows for me, no new collections each year. I've worked in the gutsy part of the industry, doing pattern making and grading for designers and clothing factories. I take the photos / scribbles / ideas of the designers and turn it into a workable pattern, and all the sizes needed for production.The clothing factories can be dirty (Yes!) and freezing in the winter. But the nice thing was,for a large part of my working life, I worked freelance at home while my children were growing up, and so I feel I had the best of both worlds, being able to be a part of my children's lives but also being able to pop in and out of factories while they were at school each day. Sit and make patterns at my table at home in the sunshine. Go to the factories and work there if I wished. Making a myriad of different styles. No day was ever the same. I also did a spot of costume work for the theatre which was frantic, and so much fun. 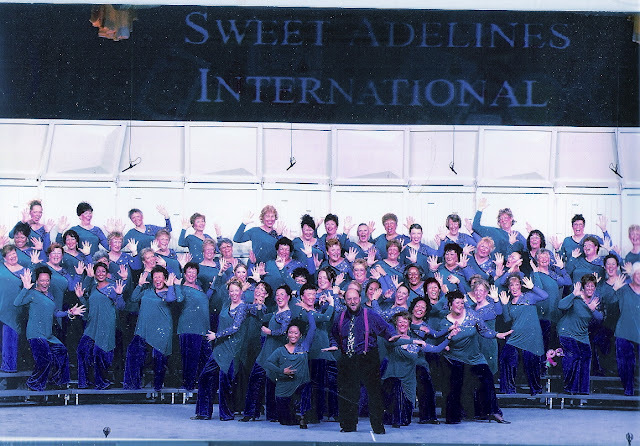 I once made costumes for the Wellington City chorus, all 52 ladies, when they attended a Sweet Adelines competition in Las Vegas! Lots of ladies, lots of different sizes! I also got to work at our local university teaching pattern making to design students. I thought that was the best of all the jobs I've done.Sadly, in our last move to a small farming town in New Zealand, the possibility of working in he clothing industry diminished as there just wasn't enough work for me to do, so I started working in Retail stores. So, I can hear you saying, why is this woman writing all of this? Why does she think she is a 'Forgotten Fashionista?" I have enjoyed doing fashion, but somewhere, a very long time ago, I seemed to have lost myself, my sense of style has gone awry. I have forgotten who I really am. We also live on a small farm, where I walk around the place in Wellington boots for a lot of the time. I ride horses, and I've done a bit of cycling, and working in retail stores. All of these occupations demand a certain kind of dress. A menswear store, that one was nicer, because we designed and I made them, a red or black skirt and knitted top in Merino wool. A Bicycle shop, selling mobility scooters and wheelchairs to disabled people, and there the uniform was a black shirt with lots of cycling related embroidery on it. None of them filled me with joy when I got dressed every morning. I want that joy back. I want to feel glamorous. I want my clothes to accentuate the good bits, hide the bad bits! I have no excuse, I have the skills to change what I wear, I've just got lazy. I am going to call together my most trusted friends. They are going to be the judge of all my clothes.I promise I will still love them when we have done it. Even if they say my most loved clothes are awful for me.I will take photos of it all, and hopefully along the way we will have a few laughs and I will find myself again. I am going back to the drawing board. I'm going to read as many books from the real fashionistas and style gurus, and try out some new things. If you're around my age, you, like me, probably hanker for the 80's. Not necessarily the big shoulder pads and the huge hair, but the brightness and fun. Maybe I loved the styles from that era because I had just finished at design school and I was in my 20's. Maybe I could try to find some of that fun again. Fancy coming along for the ride?? Thanks, Nikki! I'm enjoying it already. I haven't got my jury together yet... and already I'm wondering if I can put a "KEEP ME" sticker on some things! At last, I am joining this ride!! You are one of my clothing judges. I will make cake and coffee and you can tear my wardobe apart! Come and see how 1,000's of people like YOU are making a LIVING from home and are fulfilling their dreams TODAY.